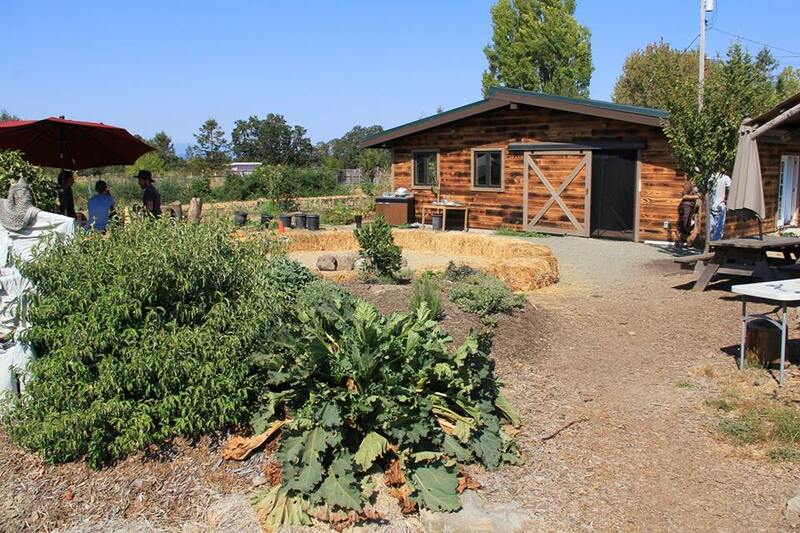 The Permaculture Skills Center is a 5-acre demonstration site and educational institution dedicated to sharing regenerative land development and management practices. We are located in the Laguna de Santa Rosa watershed just south of Sebastopol, in Sonoma County, California. The site is also the home of our partner organization, Permaculture Artisans. This site began as a neglected, yet fertile farmland and has been under restoration and cultivation since it was purchased in winter 2012. Since purchasing the land, we have installed over 2000 feet of storm water harvesting earthworks, four habitat ponds with constructed wetlands and two acres of rotational grazing pasture lined with contour hedgerows. We planted 250+ heirloom fruit and nut trees with hundreds of medicinal, soil building, insect attracting and edible plants as an understory. We now have one acre of vegetables, strawberries and cut flowers, plus an outdoor classroom and market stand. The Permaculture Skills Center hosts short courses, workshops, lecture series’, site tours, sustainability related community events and our online Eco-Landscape Mastery School. Our programs play an integral role in the continued development of the site which provides experiential learning opportunities. Located just an hour north of San Francisco with easy access from Highway 116 the site is open to the public everyday from 9am-5pm. Tours are available upon request, Monday-Thursday. We serve as a community resource that provides the opportunity to touch, taste, see and feel permaculture in practice firsthand. Come visit! If you’re interested in using our facilities to host an event, or arrange a guided tour for a school or community group, please contact our Program Coordinator at outreach@permacultureskillscenter.org.